No one knows the comfort, security and friendship of a pet more than those experiencing or being at risk of homelessness. We often put the needs of our furry best friends before our own, so by taking away the financial burden of caring for pets, we can help people get back on their feet. We work to keep vulnerable people and their pets together by alleviating the burden of providing essential pet care during times of hardship. 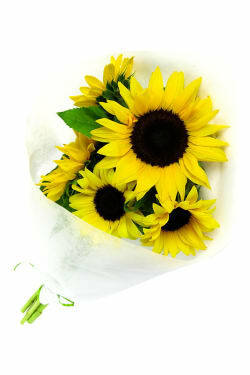 Help protect our furry friends of the homeless by purchasing these brighter than bright sunflowers. Sunflowers are non-toxic totally safe for pets - but we still wouldn't recommend them as a chew-toy! Pets of the Homeless is an Australian organisation that provides foods, veterinary care and other support to pet owners in need. We want to help those currently experiencing homelessness, or facing homelessness stay off the streets, but we want them to be able to keep their best friends.